Below is the Team Cardio Density (aka Unicorn) event, presented by RokFit. Scroll down for full description. The Fittest Games reserves the right to modify workouts and movements in the interest of athlete and event safety. We will notify all athletes if a change needs to be made. All team members will start on their start/finish pad. At the call of 3-2-1 Go, the male athletes will run down their designated lanes and run 400m together around the designated run course. After completion of the run, the athletes will then proceed back to their designated lanes to perform 30 unison pistols. A repetition will count when the athletes move from the bottom of the pistol to the top of the pistol together, meaning the athletes must both be at hip crease below parallel together and stand at full hip extension together for the repetition to count. They must alternate every repetition of the pistol. If they receive a no rep, they must stay and complete a repetition on that same leg before alternating to the next leg. 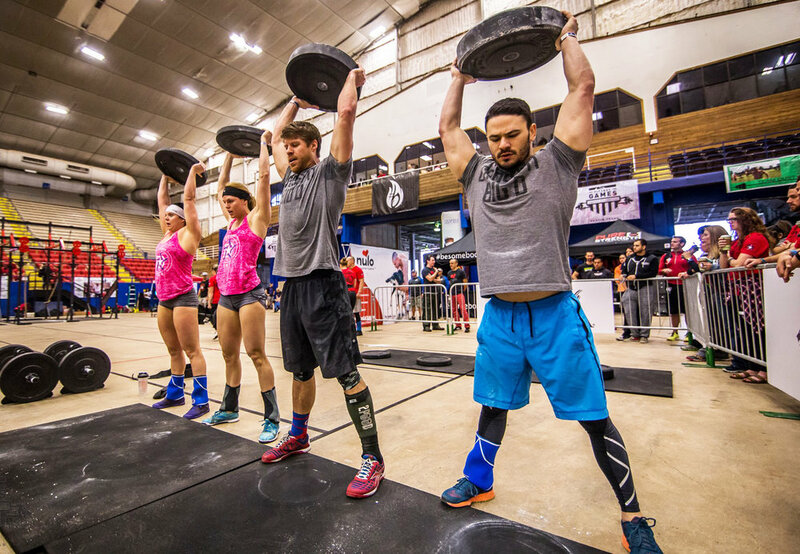 Once all 30 unison pistols are completed, the athletes will then proceed to their plates where they will complete 30 unison burpee to plate to overhead. A repetition will count when both athletes chest touches the plate and legs are extended at the bottom and both athletes have their plates locked out overhead together. Once all 30 repetitions are the completed, the male athletes will then go down their lane to complete a second round in the same fashion. Once the second round of burpees are complete, the male athletes will run back to their start/finish pad to tag their female athletes who will complete the 2 rounds in the same fashion. Your team’s time will be called once all athletes are back on their start/finish pad.